Bio Tech Pest Control, Inc. Comment: Found some termites in my kitchen. Relatively small home (about 850 sq.ft.) on slab, no basement. Comment: In the attic. Might have mice also. Comment: We have a skunk problem, at least one skunk. It seems to be living under a decking on the inside of our garage. Manchester Pest Control Services are rated 4.66 out of 5 based on 674 reviews of 11 pros. 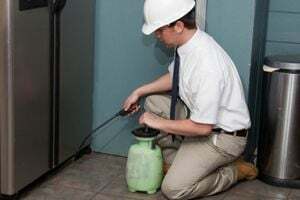 Not Looking for Pest Control Contractors in Manchester, NH?